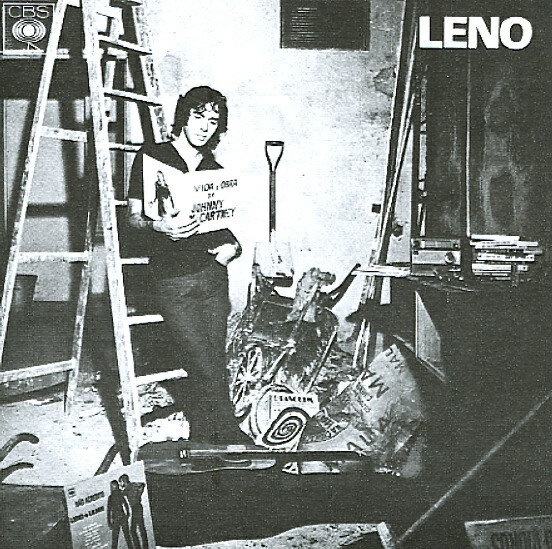 Post-Tropicalia work from Leno – a Brazilian singer who'd worked as part of a duo during the Jovem Guarda years, but who really sounds great here on his own! The style's a bit more straightforward rock than the Brazilian sound of a few years back – a bit fuzzy and compressed at times, yet still with a really strong edge, and light years from more mainstream American rock of the time. Many tracks were supposedly banned by the censors in Brazil at the time, although from today's perspective they've got a hard-rocking charm that's more innocent than anything else – a quality that makes the record ripe for rediscovery today! Lion productions have done a wonderful job with the notes and packaging (as usual!) – and titles include "Johnny McCartney", "Por Que Nao", "Lady Baby", "Deixo O Tempo Me Levar", "Peguei Uma Apolo", "Pobre Do Rei", "Sentando No Arco-Iris", and "Bis". © 1996-2019, Dusty Groove, Inc.